Didn’t we win in 2008 with Bill C-51? we want increased access to natural products, something that is inconsistent with drug style regulations. “As a government we must respect and allow room for Canadians’ freedom of choice when it comes to natural health products. Canadians should have the broadest range of options available to them.” – Allan Rock, Minister of Health October 4, 1997.
share truthful information about natural products. We are now at a crossroad. If we allow Health Canada to continue unopposed, we will have no freedom of choice. Our only option for serious health conditions will be chemical drugs. Health Canada has published a timetable to repeal the Natural Health Product Regulations and to regulate natural products and chemical non-prescription drugs under a single set of regulations. Natural Health Products and chemical non-prescription drugs will now collectively be called self-care products. The intention of this harmonization is to ensure that natural products are not used for anything more serious than something like athlete’s foot. For example, we will no longer be able to use traditional evidence to support most efficacy claims. Some traditions like Ayurvedic and Traditional Chinese Medicine have hundreds or even thousands of years of traditional use evidence. Being a little more contemporary, we could no longer use 300 years of British navel records to show that limes treat scurvy. Health Canada’s plan is to only allow clinical evidence to prove a product works, as if clinical evidence is more valuable than traditional use evidence or other forms of evidence. We are having specific evidence standards imposed as a specific tool to ensure that our only option is chemical drugs. Books have been written on the frailties and problems with clinical trial evidence. It is outrageous that we are accepting this “tool” to repress our freedom. Once natural products become self-care products, they cannot be used for conditions which would prompt the average person to seek advice from a provincially licensed health care practitioner. This includes herbalists, naturopaths, traditional Chinese doctors, nutritionists, etc. It will not happen right away, but any practitioner who thinks professional lines of natural products are safe is delusional. Currently practitioners can compound a product for an individual patient. Health Canada will not confirm whether this exemption will survive. The loss of the ability to compound for individual patients would seriously undermine the ability of many practitioners to treat their patients. Currently anyone involved with a natural product who breaks the law faces a maximum fine of $5,000. This will be changed to fines of $5-million for every day there is a violation. Any director, officer or employee involved in an offence is also personally liable for these $5-million-a-day fines. Citizens opposed such high fines when fighting Bill C-51 in 2008. All the powers and penalties in Bill C-51 are going to be imposed on the natural health community when natural health products become self-care products. It is no exaggeration to say that we are now in a worse situation than we were when fighting Bill C-51. In 2008, we could pressure our MPs on how to vote. Now the same changes are being threatened by changing regulations, a process that does not involve any voting in Parliament. The prices of natural products will increase as manufacturers and distributors face higher costs due to yearly licensing fees and the expense of administrative penalties. We have the right to chose how we treat our bodies. Before we die most of us will experience periods of great suffering. No MP or Health Canada bureaucrat can share your pain. It is for you alone to experience. Because your health journey is completely personal, it is an ultimate affront to human dignity and freedom to say that you do not have the absolute right to decide how you will try to avoid illness and how you will treat yourself when ill. You are either a farm animal where others decide what happens to your body for profit, or you are a sovereign being. There is no middle ground. The core problem with our drug model is that it is inconsistent with personal control over our bodies. Under our drug model, anything intended for a therapeutic purpose is illegal. Products can become legal by getting licensed by Health Canada. To understand our drug model, imagine you are in a cage and are ill. You can only treat yourself with the products that Health Canada will allow to be put through the bars of your cage. You are not allowed to leave your cage and to treat yourself with what you choose. To ensure that you do not even want to leave your cage in search of other remedies, truthful health information is kept from you. This restrictive drug model is defensible in the area of chemical drugs. Chemical drugs carry such a high-risk profile, and cause so many deaths, that deeming them to be illegal and requiring pre-market approval is reasonable. This model breaks down when applied to things we regularly eat. For things in our food supply, there is no meaningful risk of adverse reactions. There is no substance risk to justify losing our rights over our own bodies. Health Canada would like us to believe there is a risk that, if we take a natural product, we will delay taking what they call “appropriate” medical treatment (i.e. chemical drugs). Health Canada has even made up a name for this imaginary risk: “failed efficacy”. This is Orwellian comedy. 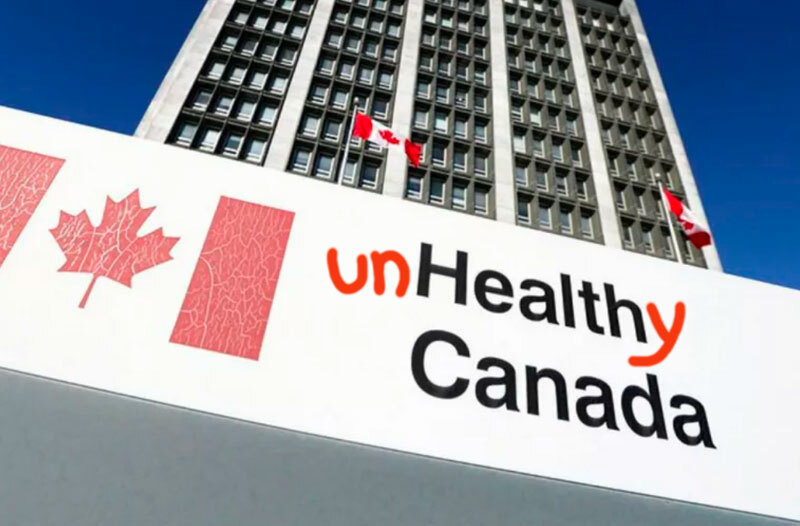 When Health Canada tells us a chemical drug “works” for a serious health condition, it means they have been given two acceptable clinical trials by the pharmaceutical company that show a statistical separation between the chemical and the sugar pill placebo. This separation does not mean that the drug really works, but Health Canada pretends that it does. What most people don’t know is that there could be 10 trials showing the sugar pill works better then the chemical, but the company does not have to share those trials with Health Canada. Indeed, a few years ago I was cross examining an expert hired by Health Canada who explained that in the area of anti-depressants, his company will plan on running eight clinical trials to get the two needed to show a favourable statistical separation between the chemical and the sugar pill. This is the model that Health Canada uses to say a chemical drug works. This is a fraud on the public. The reality is that the drug model being foisted on natural health is inconsistent with sovereignty over our bodies. We must abandon the idea that things in our food supply are “illegal” as soon as they are intended for a therapeutic purpose. We must abandon the idea that it is okay to censor truthful health information about natural products. This does not mean that it would be difficult to regulate natural products. Most of us agree that there should be protection against adulteration and fraud. To help protect against fraud, a recommendation from the Standing Committee on Health could be adopted. When the Committee looked into how to regulate natural products, one of their recommendations was to mandate that all of the evidence supporting claims for a natural product must be disclosed. In this way consumers would be able to judge for themselves whether or not the information had any validity. This is the opposite of our current situation of almost complete censorship. We are at a crossroad. What we collectively decide to do, or not do, will define whether we are factory farm animals or sovereign beings. If we allow this self-care framework to proceed, we will never recover our right to use natural remedies in a meaningful way. We will never get back to that place where truthful health information was not censored. This is a special moment for you to decide who you are. The Natural Health Products Protection Association (the “NHPPA”) is a non-profit organization dedicated to protecting health rights. The NHPPA is calling on everyone to get involved in standing up for our right to decide what remedies will use. Let’s stop Health Canada’s drug-like self-care regulatory framework. We want to see the Charter of Health Freedom enacted as law. The Charter is a health bill of rights that would ensure that your right to decide how to prevent illness and how to treat yourself when you are sick is respected. If you take action and join with your personal network to take action, it will make a difference. To learn more about the self-care framework, the Charter of Health Freedom, and what you can do to become involved, visit nhppa.org/ STOPHC. so-called natural health products are garbage and have no actual medicine in them. they are cr@p and should not be on store shelfs. they foul people into thinking that its a real product whereas its nothing more than snake oil. this so-called natural product is what has lead to anti-vaccines as a solution. Thanks so much for your piece. This is scary and I’m glad to be aware. I’m wondering if you have any links (beyond the NHPPA link above) you can share where we can read more on this issue? Where did you learn about it? Liberal actions,Disgusting . Are the drug companies in charge? Pharmaceuticals are not the only solution in the health care spectrum.